One often-overlooked employment opportunity that can actually pay quite well and deliver a lot of satisfaction is the field of sports officiating. Whether you’d like to become an umpire, a basketball official or a soccer referee, it’s more than possible to make your dreams come true. If you’re currently a bona fide expert in your favorite sport, you’re already halfway there. With the right drive and motivation, you can easily earn the right certification and credentials to officiate games both for profit and for pleasure on any level. As an umpire or referee, you’ll be required to know and fully understand all the rules of whatever sport you happen to be officiating. This can be trickier than it seems, as minor aspects of the rules are constantly changing, even at the recreational level. When close plays occur, you’ll need to step in and make tough calls with fairness and objectivity. Obviously, you can’t reasonably expect to become certified to referee each and every sport out there. As such, you’ll have to select the right sport for you and consider how far you want to go. The best thing about being a referee or umpire for any sports junkie is the ability to watch the action up close. In addition, it’s a superb way to contribute to your community and make a modest side income. The downside includes a decent amount of time spent traveling, relatively low pay for the majority of officials and the pressure of calling games perfectly every time. When you consider the amount of time invested, the compensation isn’t actually that bad. MLB umpires start at a salary of $120,000 per year, and even a starting minor league umpire can make $3500 a month. 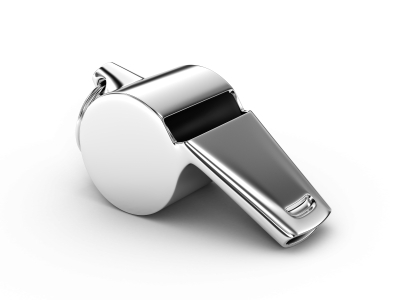 For more details on referee and official pay levels, consult with NASO. For each individual sport, the path to official referee certification will differ greatly. While there are many routes one can take, you may want to avoid fooling around and get the most comprehensive certification possible. If that’s the case, then the National Association of Sports Officials website is the place to start out. It’ll be able to guide you along the path to becoming a referee, recommend training in your area and provide resources that’ll help you to learn the ins and outs of refereeing. Whether your desire to officiate sports events stems from a love of the game, a desire to earn extra income or a mixture of the two, you’ll need to start somewhere. One excellent beginner option is your local public school system. High schools are always in need of topnotch referees and umpires that’ll work cheap. In addition, officiating games for recreational and corporate sports leagues can be a gateway to bigger things like minor league events. If you look around, you’re sure to find plenty of games to officiate right in your local region.